Gaelic Football is a native game played in Ireland. There are currently 32 counties playing in the All-Ireland Football Championship, while London and New York are also a part of the championship. Organised Gaelic Football has been played since the 18th century; the GAA was established in 1884, but the first known reference to Gaelic Football was in 1308. Gaelic Football is played with a ball similar to the size of the ball used in soccer games. In Gaelic Football, a team consists of 15 players in total, these being broken down to, a goalkeeper, six defenders, 2 midfielders and six forwards. Like most team sports, there are also substitutes that can be brought on at any stage during the game, which is 70 minutes in duration. The maximum number of substitutes permitted is six per team per game. The games are played on a larger pitch than that of soccer pitch or indeed a rugby. The total length of the pitch is 145 metres and its 90 metres wide. The goalposts are similar to rugby, however, the crossbar is lower in Gaelic Football. In terms of the layout of the pitch, it is a lot different to any other sport. Parallel lines are marked at 13m, 20m, 45m and 60m. The middle of the pitch it is marked also with parallel line. The games is made up of two halves consisting of 35 minutes each, 70 minutes in total. This is at inter-county level. Club games are 30 minutes each half or 60 minutes in total. Gaelic Football players are allowed to run with the ball in their hands, the ball can also be kicked or hand passed. However, a player must only take 4 steps with the ball and after that they must solo or bounce the ball. What is a solo? A solo involves the dropping of the ball onto your foot or boot and kicking it back into your hand. Another rule in terms of bouncing the ball is that you can’t bounce the ball twice in succession, however you can solo the ball as many times as you wish. Another key rule is that you can’t pick the ball up straight off the ground, a player must put their boot under the ball in order to pick it up. Furthermore, players are allowed to engage in shoulder to shoulder contact. The ball can also be removed from the other players grasp by an opponent’s hand. There are no set rules in terms of the number of people that can tackle the player with the ball, the tackle must be aimed at the ball however. In terms of foul play; punching, tripping, pulling a jersey and full frontal charge are forbidden. These can warrant a yellow card which is a warning for the player that dangerous or foul play is forbidden. A goal is scored if the ball crosses the line underneath the crossbar, a point is scored when the ball goes over the crossbar. In Gaelic Football a goal is worth three points, while a point is obviously just worth one point. So take an example here, in terms of score format, 2-10, the two refers to the goals scored and the ten refers to points scored. In total it is 16 points when you add it together. A goal is signalled by a green flag by the umpire when it is scored, while when a point is scored a white flag is signalled. When a goal or point is scored, the goalkeeper kicks the ball back out from the 13m line. A referee, two linesmen, four umpires and a fourth official are all part of match days. Furthermore, a Hawk-Eye Official is also present. Hawk Eye is computer rendered ball tracking similar to goal line technology in Soccer which can determine whether a point attempt was successful or not. If the point was successful it will come up yes on the big screen in the stadium, if it wasn’t, it comes up no. Simple as that. The championship is broken down in four provinces; Leinster, Munster, Ulster and Connacht. The teams in each province battle to win the province trophy, before they compete in the All-Ireland Championship. When a county loses a game in their province they go into the All-Ireland qualifiers where they play more games to progress through the All-Ireland Championship. The provincial winners progress to the All-Ireland quarter finals and so on so forth. In terms of discipline it is very much like soccer and rugby. Yellow and red cards are both used. However, the black card is a new type of card brought in by the GAA to stop cynical fouling. Cynical fouling could include players dragging each other to the ground, body checking – not shoulder to shoulder challenges and third man tackles. So what happens when a player gets a black card? A player that receives a black card is ordered to play no further part in the game and is essentially sent off, however the difference with the black card is that the player can be replaced by another player providing the team in question hasn’t used all six substitutes allowed. 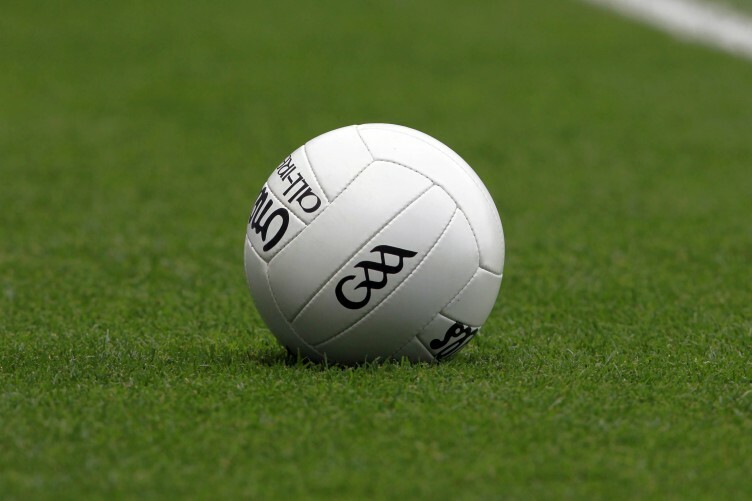 The All-Ireland Final in Gaelic Football is traditionally held on the third week in September every year, however this is set to change next year. The All-Ireland Final is basically the showpiece of Gaelic Games in Ireland and both finalists contest to win the Sam Maguire Cup. The game is played at Ireland’s biggest stadium, Croke Park, which is situated in Dublin. The capacity of the stadium is approximately 82,500.